To the thousands of tiny nomes who live under the floorboards of a large department store, there is no Outside. Things like Day and Night, Sun and Rain are just daft old legends. Then a devastating piece of news shatters their existence: the Store, their whole world, is to be demolished. And it's up to Masklin, one of the last nomes to come into the Store, to mastermind an unbelievable escape plan that will take all the nomes into the dangers of the great Outside. "Outside! What's it like?" Masklin looked blank. "Well," he said. "It's sort of big." To the thousands of tiny nomes who live under the floorboards of a large department store, there is no outside. Things like day and night, sun and rain are just daft old legends. Then a devastating piece of news shatters their existence: the Store, their whole world, is to be demolished. It's up to Masklin, one of the last nomes to come into the Store, to mastermind an unbelievable escape plan that will take all the nomes into the dangers of the great Outside. This is the first book in the Bromeliad Trilogy. 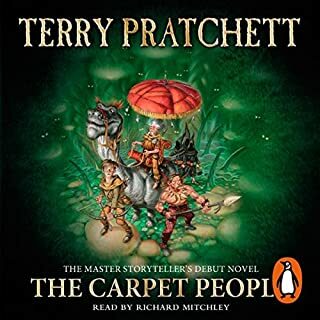 I loved the descriptive way Mr Pratchett tells a story. I found myself totally caught up in the story. When one accepts the book was written for the young I found myself waiting for the annoying interruptions to disappear so that I could pick up where I left off. At seventy eight years young I just loved the book and indeed I will be purchasing all three of the series. The world in miniature, but with more logical people in charge. The wish I was there kind of story, full of endearing and sometimes annoying characters who would be entertaining to know. Strong female role models and male. Stephen Briggs is as good as a theatre company on his own. I'm so glad there are another two stories following this one. 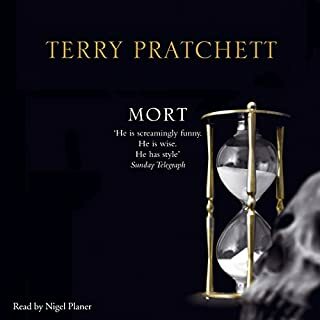 As a long-time Discworld fan, I hesitated for years over whether to try Pratchett's "younger" books. I shouldn't have! They're just as funny, perhaps a slightly lighter and certainly a quicker read, but well worth the time and credits. (If reading to or with kids I can imagine kids and adults both getting a great laugh out of them, just probably preferring slightly different jokes!) Since TP is apparently unable to write anything without a philosophical/satirical edge, the trilogy touches on religion, the psychology of leadership and group behavior, xenophobia, consumerism and more. Unlike another reviewer, I think Briggs did a brilliant job reading this, with funny and appropriate voices. I especially enjoyed the way he intoned the selections from The Book of Nome at the start of each chapter. 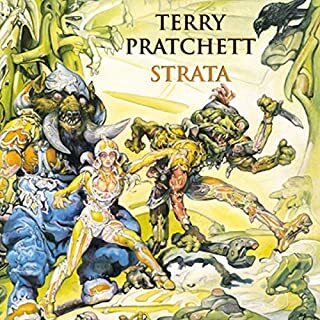 My first foray into the famous and popular Terry Pratchett's work. This wonderful story of gnomes living in a dying department store on Earth, not knowing their universe was once MUCH larger than that, is chock full of chuckle and guffaw moments, and a wonderfully crafted story. I'll be going back for the next books in this trilogy for sure. I will never tire of these characters. I can listen to this story over and over. Well written, well read. Worth your time. A great story, and a really good narrator. The trilogy of the bromeliad is just fun to read. But this first book is my favorite. It brings a smile on my face listening to this book, and often a laugh out loud. The narration is really good, and adds an extra to the book. 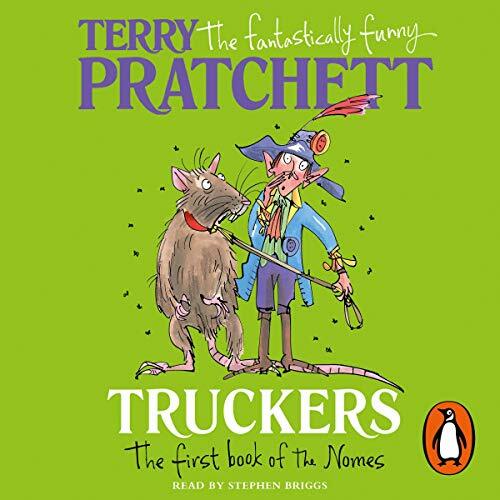 Would you consider the audio edition of Truckers to be better than the print version? We have a rule in our house: Read it first the, if you like the story, get it on audio book. There is something about someone else reading the book that makes you notice things you missed when you read the book. What does Stephen Briggs bring to the story that you wouldn’t experience if you just read the book? Stephen Briggs makes the story come to life. 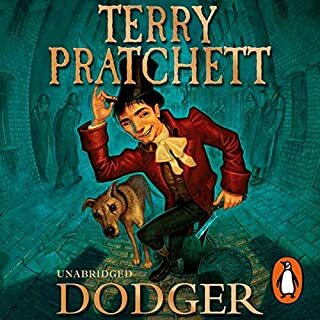 Dipping my toe into Pratchett. This was a phenomenal piece. Pratchett’s skill for language, of which I’ve seen exerts for years, is on display here. None culture is a mirror to our own. The narrator gives a great show with voices for the majority of characters. Dorcus is my favorite. The bromiliad trilogy Is probably my favorite work of Terry Pratchetts. Even of all his discord books I believe this trilogy is probably the best of his children's works. 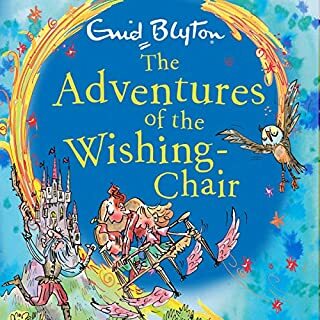 I hope that every child you care about gets a copy of this trilogy it is one of the most educational and entertaining series I have ever read. 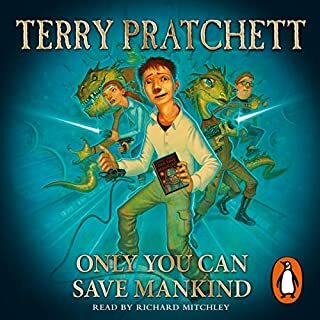 I Listened to this book while on a trip with my 8 year old son. We both greatly enjoyed it. I have introduced him to some of the Diskworld pantheon but a lot of the content goes over his head. The books in this series are short enough to keep his attention and have really helped increase his vocabulary. 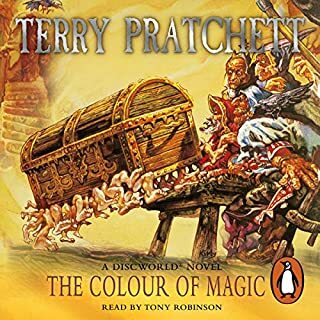 I have been reading and listening to Terry Pratchett books since I was a teenager and have always loved his books. 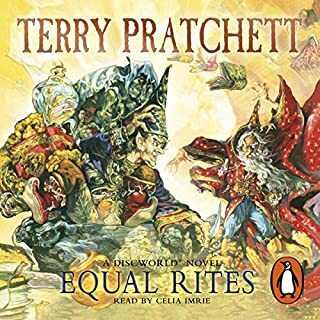 I didn't buy this series until now because they were so short, but I am glad that I did because they were a great listen on our trip, and we almost finished all three books! When I was 10 my Mum started reading me this book and I’m not sure it would be too dramatic to say it changed my life. 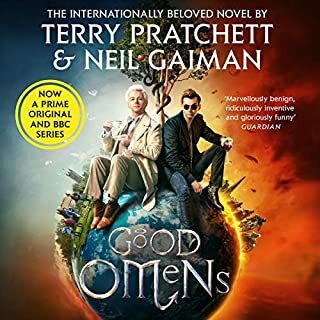 As someone who loved stories but really struggled to read these stories captured my imagination and my sense of humour enough to force me into reading. Now 16 years on, I downloaded them and was pleasantly surprised to find that I still loved them. 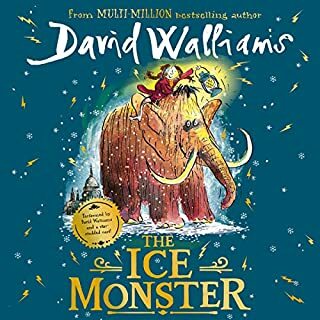 Compelling and exciting, insightful and witty this is everything you could want from a book aimed at children, but whose appeal continues into adulthood. I can't imagine how anyone would dislike it! I first heard this book, 10 years ago. When I belonged to books for the blind. I am dyslexic, not blind. Would you listen to Truckers again? Why? Have you listened to any of Stephen Briggs’s other performances? How does this one compare? A good listen but so short. I prefer audiobooks generally to print. I find them much easier to follow and I can carry on with my daily chores, travel etc while reading. What does Stephen Briggs bring to the story that you wouldn’t experience if you had only read the book? Stephen reads a lot of Pratchetts books and brings the characters alive. Two clans discover the world is far bigger then they ever imagined. This series of books is very enjoyable. 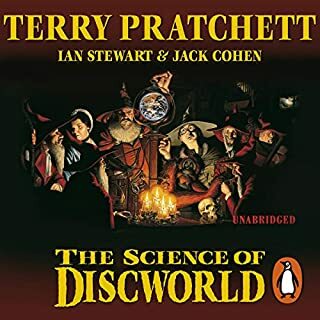 Pratchett addresses adult concepts with his usual tact and comedic approach making arguments for both sides and allowing the reader to come to their own decisions. I thoroughly enjoyed this book. I am aware it is aimed at children but would have liked it to be a little longer. You can't have everything! Downloaded to listen during long journey to France for summer holiday - family of 4, 2 adults & 2 12-year-old boys. 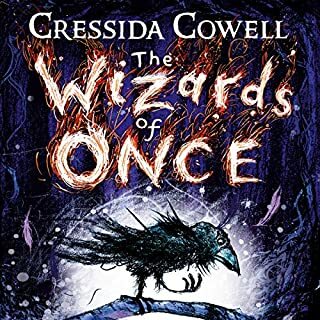 Initially we all thought it was a bit odd and it took a while to "get into" the story, but then we all thoroughly enjoyed it and will get more Nomes books in the future. 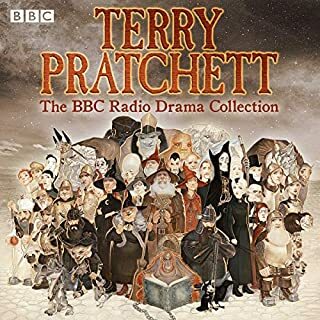 Great introduction to Sir Terry for kids. Very funny, plenty of laugh out loud moments. 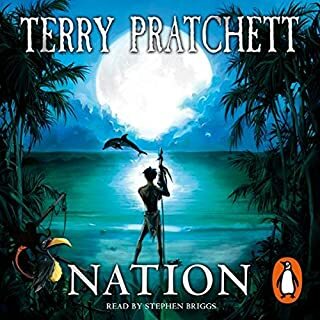 Would definitely recommend this audible version as Stephen Briggs brings life to the story. Looking forward to hearing the next in the trilogy. 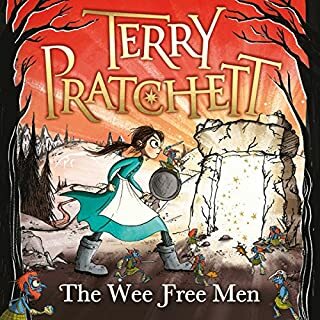 Amazing start to reading Pratxhett novels for children. Thoroughpy recommended for adults too! 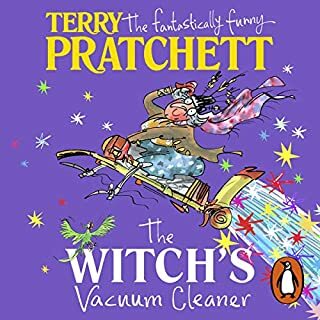 Slightly different sense of humour to the Discworld series but given the target audience this isn't surprising. 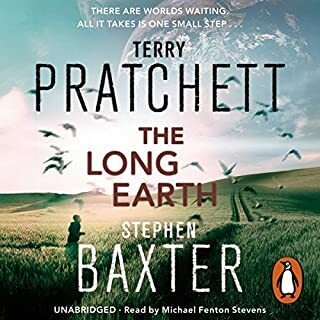 The story is excellent, as always for Pratchett, but the performance meets his standard and delivers a fun and animated rendition of the story. 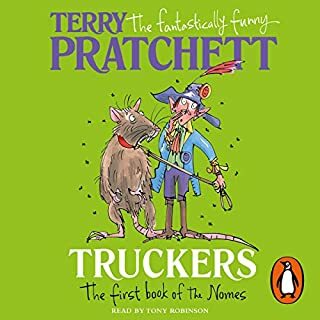 What other book might you compare Truckers to, and why? I am really unsure how to answer that question. It's an adventure story, so like lots of kids books. It features little people living out of sight in the human world, so maybe the Borrowers, except really not. It's Pratchett, so the style you see in his other works comes through as well. What about Stephen Briggs’s performance did you like? Excellent, consistent and clear character voicing. Animated delivery, full of character and interest.